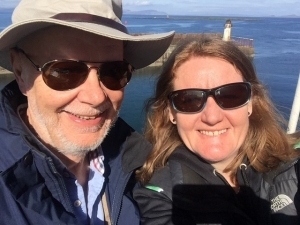 After an interesting trip visiting members with the Mutual Manager, Sophia headed back to London and I met my wife and a couple of friends for a holiday break to the Island of Skye. 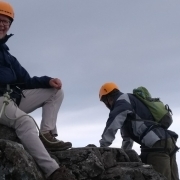 For the Friday and Saturday we had a guide from an AIM member Skye Adventure, the affable John Smith. On the Friday morning we enjoyed a wonderful walk in the Red Cuillin from the Sligachan Hotel to Sron a Bhealain and the Druim na Ruaige where we had our lunch, finding a sheltered spot to enjoy the spectacular views. In the afternoon we had a coastal walk out to Brothers’ Point (Ruadh nam Brathairean). 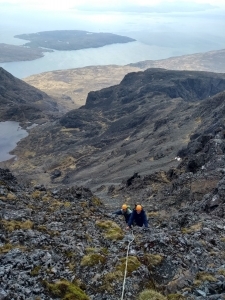 The bigger challenge was on the Saturday (of the Royal Wedding), when we had a memorable day in the Black Cuillin walking and scrambling to the summit of Scurr Alasdair from the Glen Brittle Bay beach. John took us up on a varied and interesting ascent involving some climbing and a number of pitches, descending by way of the Great Stone Shoot. We were lucky with our weather window. 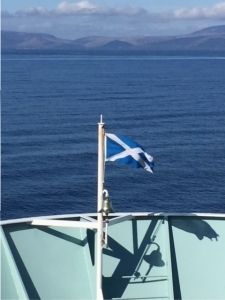 The views that we enjoyed on all our walks were wonderful, particularly the spectacular vista from Scurr Alsadair across the seas to the islands on one side and the Scottish mainland on the other. From an AIM manager’s point of view, it’s always interesting to observe instructors and guides managing their group, be it a couple of mature men or a bunch of kids. 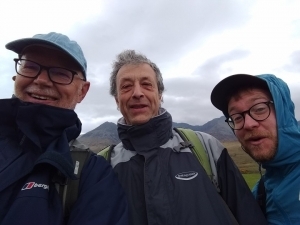 As well as being excellent company, John provided us with an unforgettable adventurous couple of days and further whetted our appetite for further visits to the Isle of Skye. 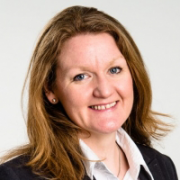 Here’s the latest blog from our new Mutual Manager Sophia Reed on her travels. This is a great job and one of the best aspects which I particularly love is getting out and about to meet as many of our AIM Members as possible. This is a very busy season for us as well as for you, with plenty of renewals and the opportunity to come and see you. 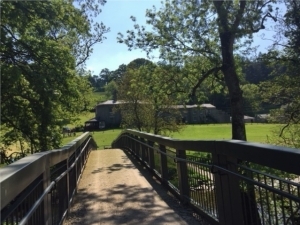 I have really enjoyed my recent trips and thought that I would share some of these with you, and say a big thank you to the Members who have hosted me and shown me their centres and activities. I hope to meet as many of our other Members as possible over the coming months. I had a super few days earlier in March visiting Aboyne to the west of Aberdeen and meeting Alex from FireTrail and learning all about their annual Illuminator Race which is held in October. This is a 25km night race over varying terrain and which I am very much looking forward to attending later this year. I also learned all about the school groups activities and the Beast 10km obstacle races. Then I travelled up to Outfit Moray to meet with Tony and learn all about their group events and biking activities and in particular the scheme they have for repairing old and discarded bikes and putting these back into good use. 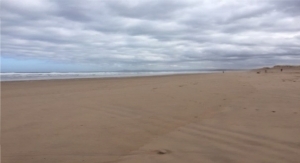 The weather was kind and the coastal scenery stunning! Next was a stopover in Grantown on Spey and a visit to Suresh at Equal Adventure to see first hand how he puts in practice his Can Do attitude to outdoor adventures for disabled people, and of course to marvel at his incredible workshop! 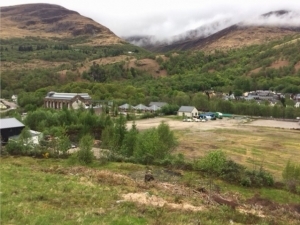 From there to Aviemore and the exciting Zip Trek trail run by G2 Outdoors. Mike Gale there was very kind in showing me round their activities and in taking me up the mountain to the starting point of the zip trek trail, comprising 14 individual zip wires which take the participant from the top back down to the base. Being half Scots I relish being up in Scotland and am thrilled we have so many of you there who we can come and see. On this trip I was accompanied by James Willis and we started off on the overnight Caledonian sleeper from London to Glasgow. 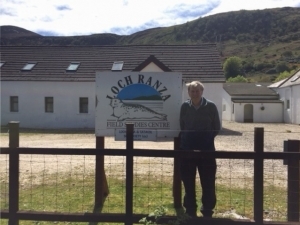 Then a short hop across to the beautiful island of Arran to visit Colin Morrison at Auchrannie and to take in the sights of their hotel complex and many activities including their large gymnasium. 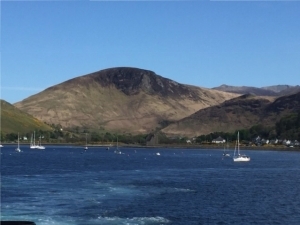 From there we drove up to the top end of the island to Lochranza where we met with Stuart and learned about the school groups who stay at their field studies centre and indulge in geological research, and were treated to stags on the golf course and seals on the rocks at mid tide! 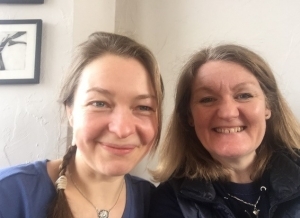 From there we travelled to Oban and met with Jane from Hebridean Pursuits and discussed their charity arm and the work they do with school and other groups in mountaineering courses and development through outdoor experiences. 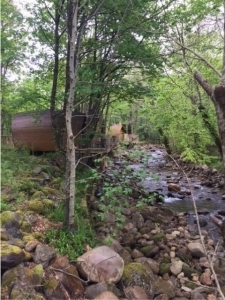 Our next stop was to meet with James at Ossian Developments and check out with envy their niche luxury riverside lodges and learn about their Segway excursions, an activity which is hugely popular and on the increase with so many of our Members. From there we travelled to see Ben Starkie at Vertical Descents and learn all about their new Via Ferrata which they have constructed in a local gorge, providing a thrilling vertical descent up and across the gorge and waterfall. 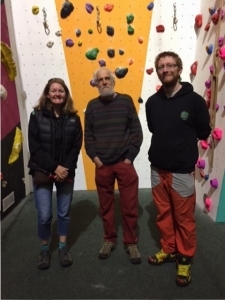 The next day after a pre breakfast run (me) and a walk (James) with magnificent views of Ben Nevis we moved indoors at Three Wise Monkeys climbing centre at Fort William and met with Peter and Ollie. The climbing centre is housed in a former church situated on a hill so provides a perfect height and gradient for climbing walls! 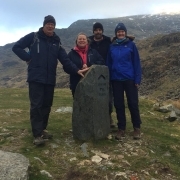 One of AIM’s newest Members, the clientele is diverse ranging from very experienced climbers and mountaineers, as well as guides, to local families and children’s groups and college students. From there we rounded off our trip with another visit to Grantown on Spey (again) to meet with Les Durance and to see the accommodation he provides to vulnerable youngsters and the opportunities his company provides to re introduce them into education and give them opportunities to develop and grow as young people. I boarded a plane at Inverness bound for London and left James with the prospect of a trip to Skye where the Cuillin Ridge beckoned him. More about that shortly! 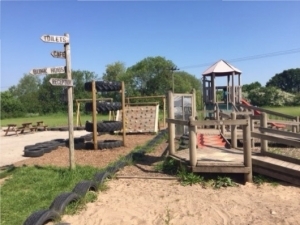 I started off with a visit to Woodland Adventure based in Walsall and met with Darren who showed me round their residential accommodation and numerous outdoor activities. 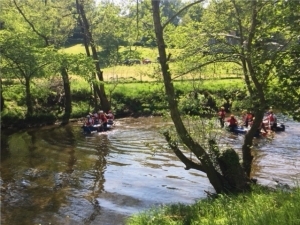 I thoroughly enjoyed seeing the Year 6 group who were relishing their turns on the zip wire traversing the small lake! 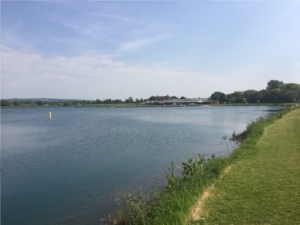 Next stop was Manley Mere where the lake sparkled in the very warm afternoon sunshine and a lovely meeting with Jane who gave me a tour of the centre which provides numerous water sports activities and lake swimming, as well as an adventure trail. 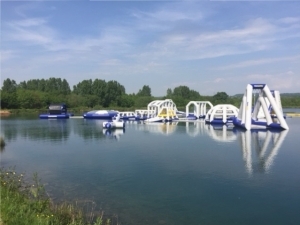 The newest addition is the thrilling inflatable challenge course, appealing to both young and old! After a birthday dinner for my Mum, I set off and headed up to West Lancashire to Rock & River where I was well looked after by Lee and Anna who showed me their new chalet accommodation and recent renovations as well as their variety of activities including a super Swamp Romp and stunning high ropes course! From there to meet with Dave Orange at Open Door, which is based in a 19th Century manor house, set in a stunning valley, and to hear all about the groups who visit them there and to witness some excellent raft building culminating in an exciting raft race by a Princes Trust group who were on a residential trip. 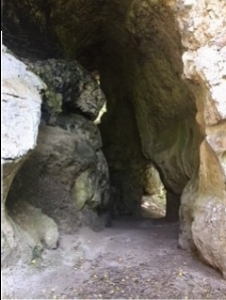 I rounded off my visit with a scramble in the caves! En route back to the South, my last stop was RYG at Bala to see Ed. Arriving early, I was handed a much needed cup of coffee and met all the staff and learned what activities they were each providing to the Year 5 & 6 school group which was staying at their centre. Climbing, sailing and orienteering were all on the day’s agenda and I rounded off my visit with a tour of the stores and a delicious piece of home made flapjack! So a huge thank you again to everyone I met with who gave up their time to see me and for their fabulous hospitality. Thank you all for showing me your activities and letting me see first hand what you do.